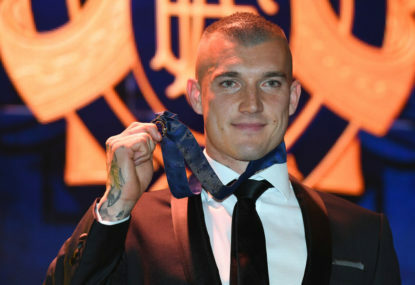 The raging favourite Dustin Martin was the winner of the 2017 Brownlow Medal, and he broke a couple of records in the process. Martin entered the night as the shortest-priced favourite in history at just $1.03 to take the medal home, and he didn’t disappoint. The count had little in the way of twists and turns other than the looming threat of the ineligible Patrick Dangerfield possibly finishing ahead of Martin. 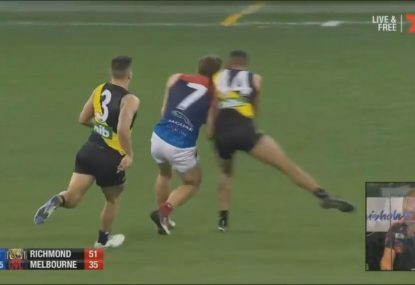 However a three-vote performance in Round 23 separated Martin from the rest and gave him a total of 36 votes for the night, ahead of Dangerfield’s 33. 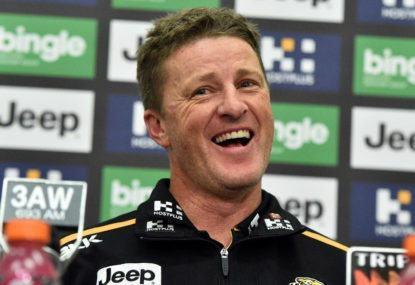 36 votes is the record for the most votes by a player in a calendar year under this voting system, Martin beating out Dangerfield who set the record himself with 35 last year. Martin also recorded three votes on eleven occasions, the most by any player in a single year in history. The best previously was nine, achieved by Greg Williams (1994), Nat Fyfe (2015) and Patrick Dangerfield (2016). Hawthorn’s Tom Mitchell was, as widely predicted, the closest challenger of the eligible players, finishing with 25 votes, still 11 short of Martin in first place. Josh P Kennedy (23), Lance Franklin (22) and Josh Kelly (21) rounded out the top five. Ollie Wines (eighth – 18 votes) and Dayne Beams (ninth – 17 votes) were notable inclusions inside the top ten, and certainly potential contenders for the medal in the next few years. Of the one-vote-wonders, Irishman Conor McKenna and athletics convert Mark Blicavs both deserve a nod for polling despite not growing up in the game. 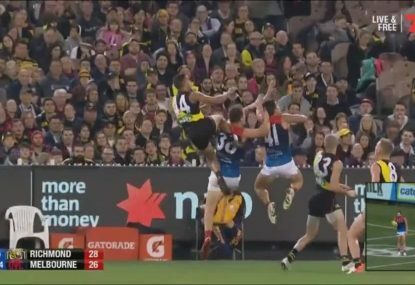 Daniel Rioli won goal of the year for his excellent effort from the boundary against West Coast in Round 3, beating out Lance Franklin and Eddie Betts in a good night for the Richmond Football Club. Joe Daniher was the surprise winner of mark of the year, with Eddie McGuire no doubt already drafting a petition for a parliamentary investigation into how Jeremy Howe didn’t win it. Jack Hombsch won the Jim Stynes Community Leadership Award after being nominated for the second year in a row. Kirby Bentley, Jordan Roughead and Nick Riewoldt were the other nominees. 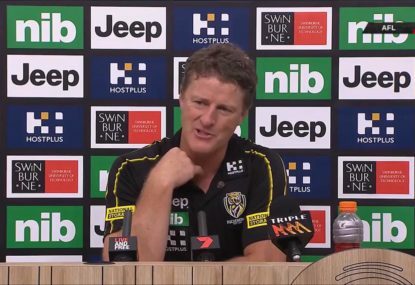 What do you think of Sydney Stack, Tiger fans? 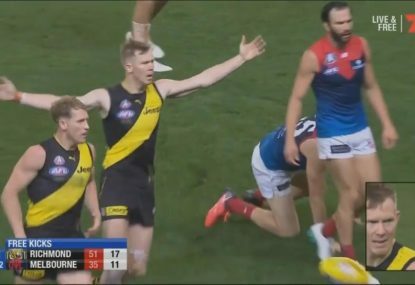 The Richmond forward was not happy about conceding the free kick. It was the perfect bump from Sydney Stack! He got plenty of air! Lionel Messi would have been proud of the pin-point cross off the ground from Kane Lambert. 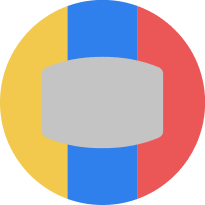 As the Western Bulldogs can attest to and are so often reminded of, one year does not make a champion, decade-defining team, no matter the magnitude of their success in that season.